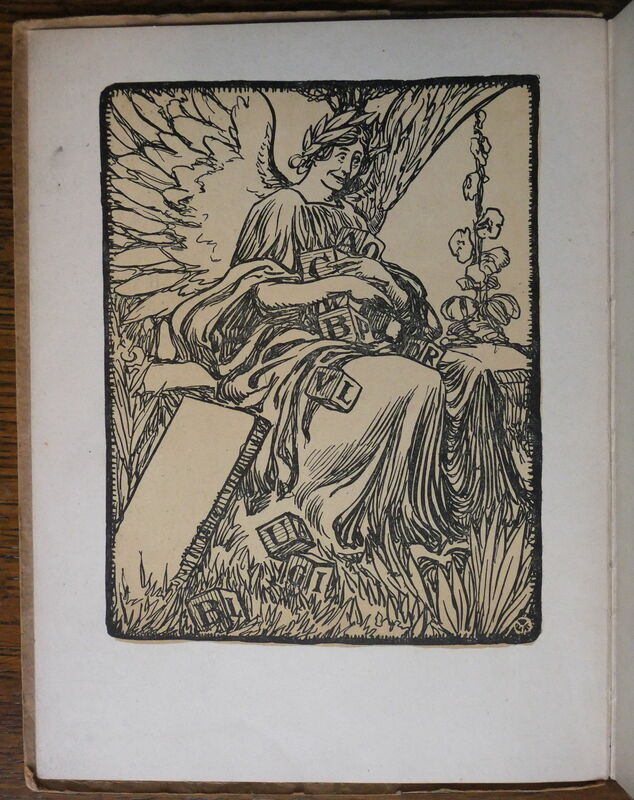 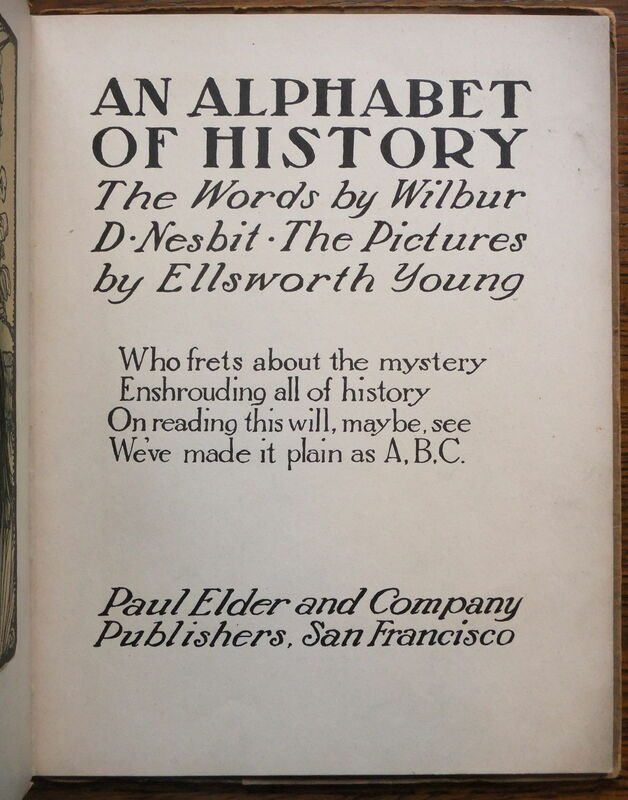 In 1905, Paul Elder published Wilbur Nesbit’s An Alphabet of History, a large-format volume of verse for adults. 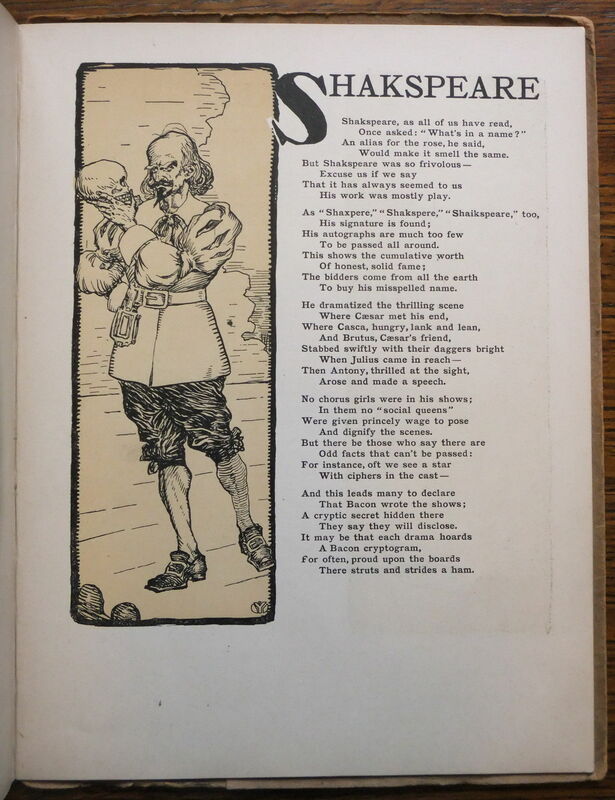 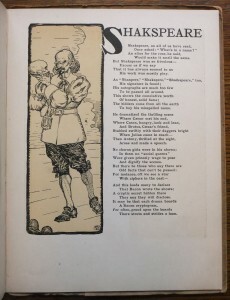 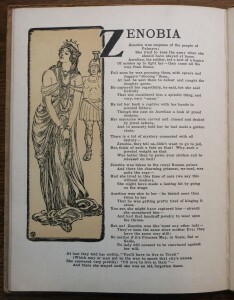 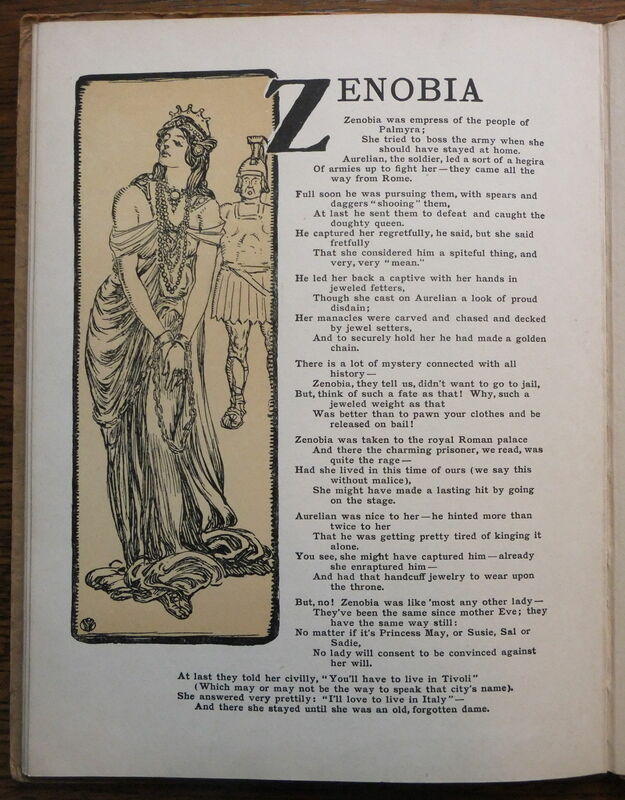 In contrast to some other humorous verse featured here, Nesbit’s poetry has survived the last century in fine shape to be appreciated by the modern reader. Wilbur D. Nesbit was born in Xenia, Ohio in 1871. 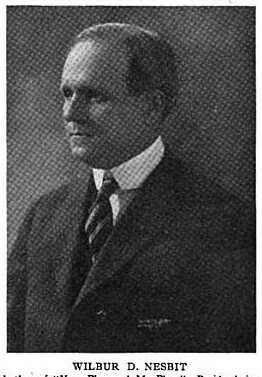 He spent most of his career in journalism, working his way up from small-town newspaper reporter to editor at the Chicago Tribune and then the Chicago Evening Post. 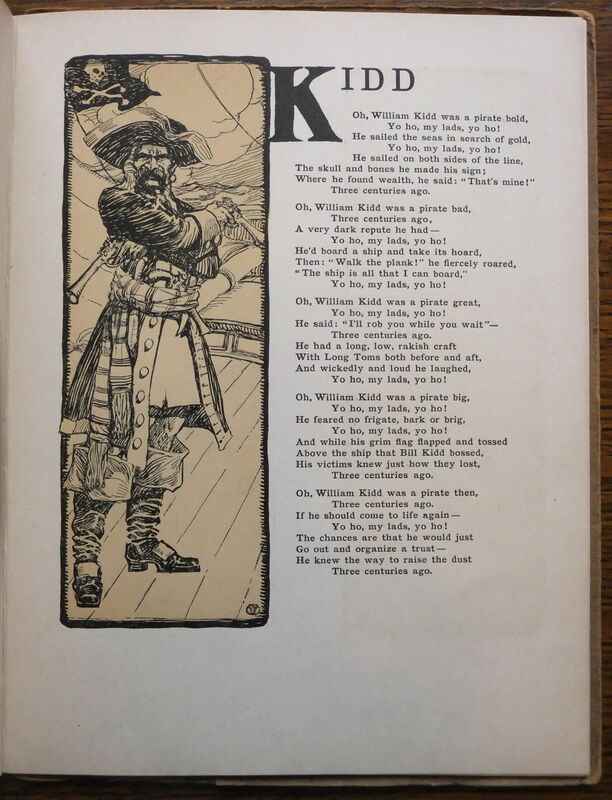 Along the way he began composing poetry. Nesbit was also in demand as a toastmaster, and was a long-time member of the “Forty Club,” a Chicago version of San Francisco’s Bohemian Club. 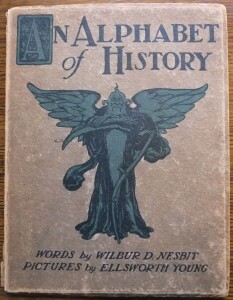 Nesbit wrote a history of the Forty Club in 1912. 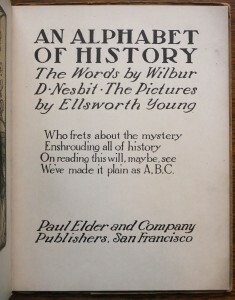 The delightful drawings are by the artist Ellsworth Young (1866-1952), who in addition to book and magazine illustrations, was a noted landscape painter and poster artist. 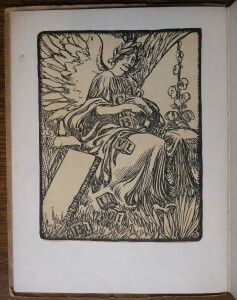 He studied at the Art Institute of Chicago and later worked for the WPA. 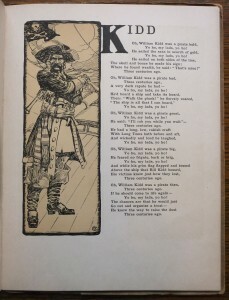 References: The National Magazine, Boston, May 1917, p304-5.